1. If you are planning on embroidering a name, design, etc. 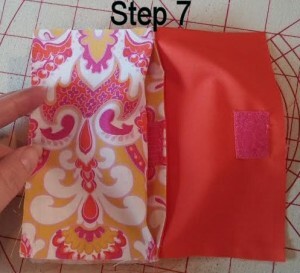 on your pouch be sure to do this now before you start sewing. 2. With right sides together, sew the top edge of the 5 1/2 x 3 1/2″ exterior and lining rectangles together (if you have a one-way design, name, or design, be sure that your material is facing the correct way!). 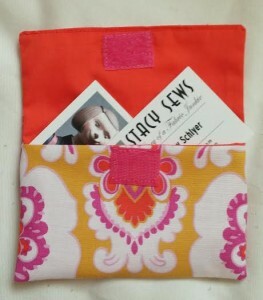 This will be your front pouch. 3. Turn right side out and press finished edge (topstitch if desired). 4. Open up front pouch, separating the exterior fabric from the lining. Center Velcro across the top of the exterior pouch piece, close to finished edge, and sew in place. 5. 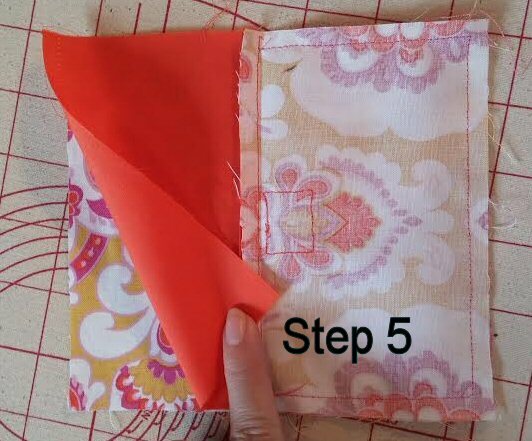 Keeping pouch sections open and with right sides together, place exterior pouch section on top of exterior flap piece (the 5 1/2 x 6″ rectangle). You will find that the lining section will hang over the flap piece just slightly. Sew from the top of the pouch seam, down the side, across the bottom, and back up the side (stopping at top seam). 6. 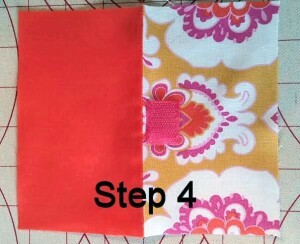 Repeat step #5 with the lining. 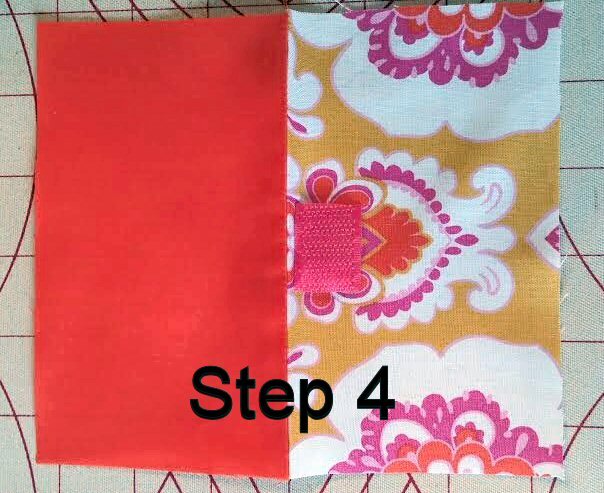 Your end result will be the front pouch sandwiched between the exterior and lining flaps (which remain unsewn at the top). 7. Sew second piece of Velcro to the right side of lining. Velcro should be centered, 3/8″ down from top, raw edge of lining. 8. 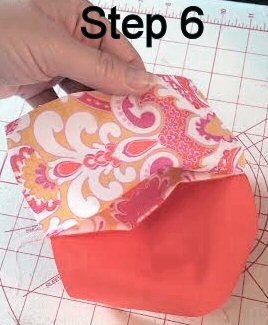 With right sides together, place lining and exterior unsewn flap edges together and sew, leaving a 2″ opening for turning on top edge. 9. Clip the corners of all pieces and turn right side out through opening on top edge. Poke corners out with a chopstick or point turner if necessary. 10 Stuff lining into pouch and press. Slipstitch opening closed or topstitch top edge with sewing machine. 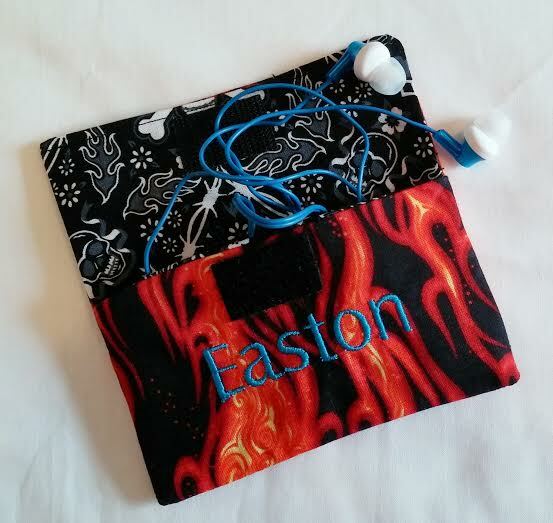 Fill your finished pouch with earbuds or keep it for yourself – it’s the perfect size for business cards, small jewelry, and more! This entry was posted in General, Tutorials on August 18, 2014 by stacy.